Los pasos de un hombre bueno son ordenados por el Señor,Y se deleita en su camino.Aunque caiga, no será derribado por completo;Porque el Señor lo sostiene con su mano. My soul is in deep lament and my heart cannot be comforted. Sleep does not comfort. Food has no flavor. I sigh as I move about and do my work. Though I pour the pure words of God’s soul into me morning and evening and meditate on them day and night, I can find no peace. My prayers are a jumbled mess of chaos. I know no words to comfort my soul, only lamenting and grieving. My heart is grieved for those who have wandered and wander still. My soul is vexed by those who have strayed from the fold and are among the rocks and forests where those who would devour them lurk. They have turned aside in order to pursue the works of their own hands. They have set up idols for themselves; not the graven images of times past, but idols of themselves, of their money, of their possessions and even their own righteousness. They are comforted that they have met the requirements of righteousness and continue feeding themselves on the meat of their pride. They do not heed the warnings of the Most High God. They are confident in the work of their own hands and the strength of their own will. They will not humble themselves and exalt the King of Kings and Lord of Lords. They seek Him only for a fleeting moment. They see Him as a reflection on the water and then turn away, forgetting what they have seen and not bringing Him to mind again unless some calamity befalls them. And there will be calamities; many of them. Like the pains of a woman about to give birth, calamities will come. Stronger, deadlier, and more often will they come. They are a warning that the wrath of the Most High God is poised to be let go upon a wicked people. I am mocked because I call them to humble themselves and seek the Lord. They accuse me of teaching falsehood because I call them to humility before the Holy Lamb of God rather than praise them for their own righteous works. They ignore me when I cry out because they have taken to themselves teachers and teachings which tickle their ears and comfort them in their own righteousness. Their ears are stopped up. Their eyes do not see. They have been struck mute. They have become like their idols. They refuse to call out for mercy or to praise the Most High God. They call me a dreamer and will not open their ears to hear and their eyes to see. They scoff at my warnings. Though the warnings of my lips are from a heart which is burdened for them and a soul which aches for their delusion, they would toss me into a pit. They would wipe their hands and rejoice that they were rid of me. Yet even from the pit I would cry out for them to humble themselves and exalt the Lamb of God. I am called a hypocrite because I was the worst among them. My sins reached to the depths of depravity, but I know the deliverance of the Shepherd. I know the price paid by the Redeemer of my soul. I was among the rocks and lost in the forest. The wolves and lions were all around me. They had rushed upon me and would have torn me to pieces, but the Shepherd never gave up seeking me. I heard the sound of His voice calling to me as the enemy leapt upon me. I was wounded, but He found me, He lifted me to His shoulder and He carried me back into His fold. He gave me new life and He will keep me in His presence from now and forevermore. Listen to me! Hear my cry! Feel the crushing weight of my lament upon your hearts. Turn away from the works of your own hands. Do not follow after your own will and the desires of your flesh. Turn away from the idols you have set up for yourselves. Turn away from trusting in your own righteousness. Turn away from believing that you have sealed yourselves for the Kingdom of God. There is only one who can seal you in His kingdom; even the Holy Lamb of God. Fall on your face before the Most High God! Exalt the Holy Lamb of God! He alone is worthy to receive glory, honor, power, riches and blessings. He alone will save His people; the sheep of His pasture. He alone has the power to turn back the lions and the wolves who would devour you. Do not trust in your own counsel. Do not despise the warnings of the Most High. Humble yourselves and exalt Him! In only a little while, He will come. For those of His fold, He will come to lead them to greener pastures and give them rest beside still waters. But for those who are proud and glory in the work of their own hands He will come as the Lion of the Tribe of Judah. Out of His mouth will come a sharp sword and a rod will be in His hand. Humble yourselves and cry out for mercy, you who would escape His wrath. Silence your defense before Him and wait for Him to lift you up. For the King of Kings will have His dominion over all of creation. Goza y ve que el Señor es bueno; Bienaventurado el hombre que confía en él. Oh taste and see that the Lord is good; blessed is the man who trusts in Him! Bienaventurada la nación cuyo Dios es el Señor,El pueblo que ha elegido como su propia herencia. Yo reconozco mi pecado a ti, y mi iniquidad no he escondido. Yo dije: "Confesaré mis transgresiones al Señor", y perdonaste la iniquidad de mi pecado. Tu misericordia está delante de mis ojos, y he andado en tu verdad. Your lovingkindness is before my eyes, and I have walked in Your truth. Nos regocijaremos en tu salvación,Y en el nombre de nuestro Dios estableceremos nuestras banderas! We will rejoice in your salvation,And in the name of our God we will set up our banners! Keep me as the apple of Your eye;Hide me under the shadow of Your wings. Oh Señor, Tú eres la porción de mi herencia y mi copa; Mantienes mi fortuna. Oh Lord, You are the portion of my inheritance and my cup; you maintain my lot. Todos se han desviado, se han corrompido juntos; No hay quien haga el bien, no, no uno. Si los fundamentos son destruidos, ¿qué pueden hacer los justos? ¿Qué es el hombre que el Señor es consciente de él o que Él lo visitaría? What is man that the Lord is mindful of him or that He would visit him? Humble yourself and the Lord will hear your supplication and receive your prayer. Humíllense y el Señor oirá su súplica y recibirá su oración. Are you dwelling in the peace and safety of the Lord? ¿Estás viviendo en la paz y seguridad del Señor? Where are you walking, standing and sitting? ¿Dónde sigue consejo, detiene y cultiva la amistad? Twenty something years ago, when I was teaching a Sunday school class, I did something for my own edification that I don't think I ever used outside of my own prayer and bible study. I organized the Psalms into different categories based on the model of the Lord's Prayer. I have been reading through the Psalms as my morning study for a couple of months and was coming to the end this morning. I was considering going back to Psalm 1 and starting over when I saw the notations in the Outline to Psalms I had made in my bible. I started looking at how I had categorized them and my eyes were drawn to those dealing with humility and deliverance. I read several of them and saw a pattern forming. I felt led to share that with you. 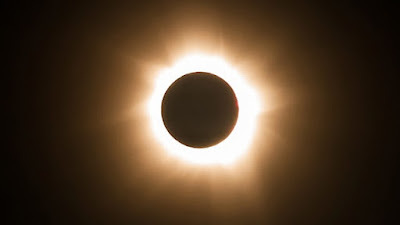 If you read my recent blogs, you know that I have been looking at the signs of the Great American Eclipse and the Revelation 12 sign in a very different light than many. Though I don't predict any great apocalyptic events to surround these signs, I do believe that they are warnings, especially the eclipse. “A wicked and adulterous generation seeks after a sign, and no sign shall be given to it except the sign of the prophet Jonah.” And He left them and departed. I believe that we need to take whatever warning God is giving us in the eclipse of August 21st very seriously. There are two reasons for this. We should not cower in fear, predict some coming destruction, nor set dates for the rapture of the Church. Instead, we are called to humble ourselves and seek our Lord. Therefore, I believe it is timely, as things from God usually are, for me to share this arrangement of the Psalms with you beginning tomorrow morning, Friday, August 18th and extending forward for the next 42 days. I will be posting these songs and meditations in both English and Spanish. They will contain a link to the Psalm in Bible Gateway as well as a point of focus and a passage of scripture for further study, nothing more. My prayer is that we who are called by the name of Jesus will come together in focused prayer which will bring us to humility and direct our meditation on looking to our holy and sovereign King of kings for our deliverance. May God bless you all richly as you seek Him. Rather than giving warning after warning about the great deceptions which have been among us, are among us and are coming, I am going to help you focus on how to defeat any and all deception. It is simple to understand, but takes diligence to fully accomplish. What on earth was Jesus talking about? We were created with ears and they work well for hearing all sorts of things. Why would we not be able to hear what is there for us to hear? I often return to this sentence when discussing discernment and understanding. In context, Jesus was referring to the spiritual ability to understand the parables He was telling. This is not difficult to interpret, because it is very literally spelled out. Let’s gather in the context from Matthew 13:3-17. This is more than a statement of understanding and discernment. God’s commission to Isaiah and this passage from Romans are very much the same. God is delivering a stubborn and stiff-necked people over to their sins. I’ll never forget the day Pa caught me chewing tobacco. He took me out behind the barn, sat me down on a stump, cut off a wad of tobacco and stuffed it in my mouth. I shook my head, knowing the state he was in and that responding with a yes was not my best option. After a few minutes with the chaw in my mouth, I leaned forward to spit. “Boy! If you spit, I’m going to knock you into next week! You wanted to chaw, so let’s chaw!” Pa commanded. Since I couldn’t spit, there was nowhere else for the black juice built up in my mouth to go, so I swallowed it. The minute I did, I felt things go off inside of me that I knew weren’t supposed to be happening. My stomach was in rebellion, my head started spinning and I could feel my body tingle all over. I looked into Pa’s eyes, which were cold as steel as he watched me. I’m not sure what it looks like on the outside when somebody turns green, but I knew what it felt like on the inside. I could tell that it wouldn’t be long before my insides would be trying to put themselves on the outside. “You like to chaw, huh?” Pa asked. My response was to lean forward and explode into dumping the contents of my mouth and my stomach out on the ground. “Pretty pleasurable to chaw isn’t it, boy!” Pa mocked. When I was finished spilling all that I had inside me on the ground in front of that stump, Pa cut off another chunk of tobacco and put it into my mouth. The scene repeated itself several times. I wasn’t sure if the tobacco or my life would give out first. I finished the supply of tobacco I had so proudly purchased some hours before, spilling that last chunk and the black poison it had formed inside me onto the ground alongside all of the rest of it. Without a word, Pa got up and left. I was sick for three days after that, but I ain’t never wanted a chaw since. Jesus calls to those who do not put their trust in silver and gold. Jesus calls to those who do not put their trust in the work of their hands. We respond by turning away from idols and exalting Jesus. This was the cure for Israel and it is the cure for all of the generations down through history. Jesus has rightful dominion over all the earth. Jesus is to be exalted above all idols, teachings, works of our hands, all silver and gold, all nations and kingdoms; ALL THINGS! Bless the Lord and Praise the Lord! Those are not just commands for singing and worship, but attitudes of humble submission and exaltation of the King of kings and Lord of lords. Do not be led astray or deceived by idols, false teachings and trusting in the works of your hands. Exalt Jesus and overcome the greatest deception of mankind. I am amazed at the explosion of “prophetic words” that are springing up in every direction. Warnings of every kind are coming from the direction of all four winds and the thousands of variations between them. This warning of Paul has applied for the past 2000 years, it is actually, the nature of man, so, in some form, these things have always existed. In my lifetime, these issues have multiplied exponentially. I have allowed myself, on occasion, to be swept away by some of these things as well. There is great appeal to some of these teachings, because they make our flesh tingle and give us something to grasp and hold onto; something we can sink our fingers into. They seem reasonable and logical. 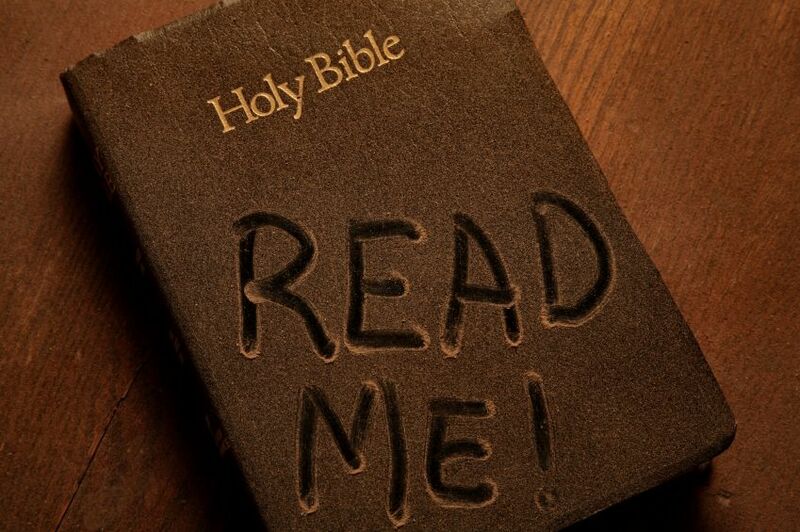 In some cases, passages of scripture can be found and manipulated in such a way as to make them appear right. Just sit on that idea for a moment. So Moses and Aaron went in to Pharaoh, and they did so, just as the Lord commanded. And Aaron cast down his rod before Pharaoh and before his servants, and it became a serpent.But Pharaoh also called the wise men and the sorcerers; so the magicians of Egypt, they also did in like manner with their enchantments. For every man threw down his rod, and they became serpents. But Aaron’s rod swallowed up their rods. Paul’s point is clear. Though something can sound and look like the exact same thing as godliness, it is not and will be swallowed up by true godliness. Eventually, those things which appear to be godly will reveal themselves to be foolish. Yet even when they prove to be foolish, some people continue to follow them, because they have a form of godliness, but deny its power. What is a form of godliness? Forms theory is Plato's argument that non-physical (but substantial) forms (or ideas) represent the most accurate reality. When used in this sense, the word form or idea is often capitalized. Plato speaks of these entities only through the characters (primarily Socrates) of his dialogues who sometimes suggest that these Forms are the only objects of study that can provide knowledge; thus even apart from the very controversial status of the theory, Plato's own views are much in doubt. However, the theory is considered a classical solution to the problem of universals. This philosophy, in essence, says that there is a perfect conception of the things that we see and don’t see, which helps to define what a thing is. A dog is derived from a perfect conception of dogness, so to speak. Honesty is derived from a perfect conception of honesty which we cannot see, but can define because of the concept or idea of honesty. It is pretty logical and reasonable on the surface. It is the only way we can truly define things and come to some understanding of them from our limited, human perspective. Because of Timothy’s Greek roots, I believe Paul was talking about this theory when he used the phrase, “form of godliness.” So, using Form Theory, there is a perfect conception of godliness which defines godliness. Likely, that conception is formed by the religious traditions of your family and/or church. From that conception, we come to define and gain knowledge of godliness, but that is not necessarily true godliness. Why? Because though our knowledge of godliness might define it for us, it is lacking the power of godliness. What is it lacking? What do forms of godliness lack? Again He said to me, “Prophesy to these bones, and say to them, ‘O dry bones, hear the word of the Lord! The bones rose up and took on the form of men, but they were not made alive until the breath of God entered into them. Genesis 2:7 says, “And the Lord God formed man of the dust of the ground, and breathed into his nostrils the breath of life; and man became a living being.” The breath of God coming into mankind is what brought him to life in the beginning and is what brings us to life in our new birth. In our new birth, this breath of God is His Holy Spirit. The Holy Spirit will testify to the truth and He will guide you in the truth. That truth has already been written down. God’s plan for the salvation of His people has already been laid out and revealed. We come to understand it and apply the power of our rebirth to our lives when, by the Holy Spirit, we are given eyes to see and ears to hear. In reality, this statement is truer than the scriptwriter for the movie really understood. You can’t handle the truth. You can’t know the truth through looking at its forms. The power of the truth cannot be grasped hold of and you cannot sink your fingers into it. This was Jesus’ response to Peter’s confession of faith. This statement should drive all of us into a state of humility concerning our own confession of faith. Our flesh and blood does not reveal to us the truth of Jesus’ Lordship. Our forms of godliness do not bring us to the truth. The Holy Spirit comes to us and testifies to us concerning who Jesus is before we ever come to any understanding of Him or confession of faith. We don't save ourselves through some great choice we make. We are saved because understanding is given to us from above. Following that initial confession, little by little, we are guided into a deeper truth by the Word of God and His Spirit opening our eyes and ears to recognizing it. We’ve come full circle. You ought to have a solid grip on the phrase, “having a form of godliness, but denying the power.” How does that apply to the subject of this post? It’s simple really. 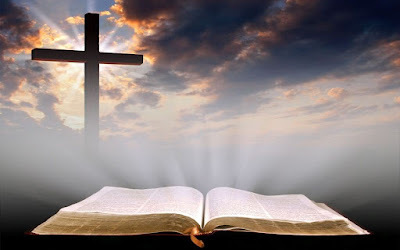 If the Holy Spirit guides those who are His own in all truth, He is going to begin our guiding using His already revealed Word (I capitalize it because the first chapter of John declares that Jesus is the Word). Knowing and understanding the Word is an act of humility and submission rather than an act of increasing our knowledge and wisdom. Those who exalt themselves with the words “God told me…” or “God showed me in a dream…” need to check themselves and their egos. How should we interpret the signs we see today? I have had visions; some very clear ones. Some of my visions seemed to have set certain dates for certain events, but when I checked them against scripture, they did not work out unless I added my own knowledge of scripture to them and manipulated them to fit. Instead of declaring those dates to be some great future event, I looked to their purpose in how they apply to my weakness and limited understanding instead of throwing their weight onto everyone else. In most dreams and visions which we have we are not being given some new, special revelation about how God is going to carry out his plan of redemption or to formulate some date. God's plan of redemption and destruction is already laid out. His prophets revealed His plan through thousands of years of preaching and writing. 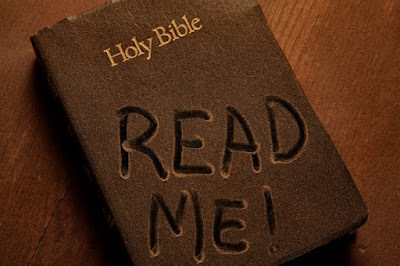 I have no special knowledge beyond what was given to the writers of scripture, in fact, the last chapter of Revelation even warns us of the consequences of assuming that we can add to or take away from what is written in God's Word. Rather than being inspired toward pride, it is better to err on the side of caution and humble yourself. If you need an illustration of this look at the calls of Isaiah, Jeremiah and Ezekiel and how they responded to God's call to prophesy. We must humble ourselves before the Holy Lamb of God. This should be our response to the sound of Jesus’ voice as He calls to us through His Word and by His Spirit, even when He shows us a clear vision. That statement includes depending upon our own, flesh. We should not trust our own knowledge and flesh, ought to thoroughly examine our own motivations, and flee from those which do not line up with God's Word. We are to turn away, run away and stay away from these people and their teachings. Running away does you no good unless you have somewhere to run to. Run to the Holy Lamb of God and abide in Him (John 15), for without Him, we have only a form of godliness, but deny its power. The enormous hype surrounding the “Great American Eclipse,” is not only coming from secular sources, but is also coming from those who profess to be Christians in what might be best referred to as the New Age Prophecy Movement. This movement, in which Jesus seems to be scattering prophetic wisdom and visions among anyone with a YouTube channel, is dangerous and deceptive. Following right on the tail of the Great American Eclipse is the Revelation 12 sign on September 23rd. 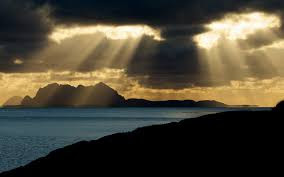 Then God said, “Let there be lights in the firmament of the heavens to divide the day from the night; and let them be for signs and seasons, and for days and years; and let them be for lights in the firmament of the heavens to give light on the earth”; and it was so. So, yes, these are signs. God has sent them as a message to His people. We are to take them seriously. This is a serious warning and it applies to the whole of scripture. To add to or declare God’s judgments beyond what He has laid out in His Holy Word is dangerous ground. We can speculate to the meanings of these signs, of course, but we do so examining the scriptures in order to understand what signals God is sending us through His signs. It DOES NOT mean that we can set dates for the rapture and declare that God is going to destroy America or make any other such statements. When you hear the distinctive rattle of the tail of a diamondback snake, what does it tell you? 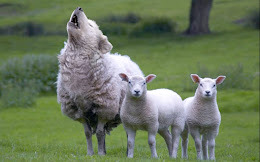 When you see the hackles standing up on a dog’s back, it has its teeth bared, and it is growling, what sort of sign is it giving you? They are warnings to back off from whatever you are doing. When God sent Moses to Egypt to demand that Pharaoh free the Israelites, He gave signs and warnings of the consequences of Pharaoh’s disobedience. Joshua, Elijah, Elisha, Samuel, Nathan, Isaiah, Jeremiah, Ezekiel and the prophets throughout the Old Testament gave warnings. There was always a single warning… Back off from what you are doing! Repent and turn to the Holy God! Who has put wisdom in the mind? Chapters 38 through 41 are filled with an example of God’s complete sovereignty over ALL of creation. The message is clear. I AM WHO I AM (Genesis 3:14). God existed before creation and will continue to exist without any challenge to His existence. He does not have to answer to anyone or do anything that anyone commands. He is God and He is Holy. His signs are before us in every moment of every day and in every single aspect of our lives. But when He puts signs in the heavens, He does it for the purpose of letting us know that we need to HUMBLE ourselves before Him and pay attention. We need to back off from what we are doing, repent of our errors and focus on His Holiness. For those who are wondering what the specific purpose of these most recent signs are about, let me give you a hint. These are signs to let you know that God will no longer bear the rejection of His son, Jesus, nor the disobedience of His law. 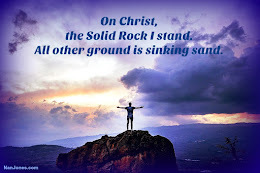 He will no longer tolerate the challenges to His sovereignty and that includes those of you who call yourselves Christians, yet believe that your will, your words or your works will somehow sanctify you in the sight of the Holy God. Those are the exact same words which God said to Moses when He was asked by what authority Moses was to say he was making his demands. Jesus is not a wall flower. He is God. He is in on the judgment that is to come. In fact, He is THE major player in carrying out the judgments. Jesus is the Lion of the Tribe of Judah who is coming with a rod of iron. Make no mistake; Jesus’ wrath will be terrible! But there is hope. Those who hear His call, repent of their sins and turn to Him as the hope of their salvation will be saved from the Day of Wrath. · There are currently more than 30 active volcanoes worldwide. · On a daily basis, there are more than 100 earthquakes worldwide, more than a dozen every day are stronger than 4.0. · In the past six months, there have been major floods on every continent in the world, on many of those continents several times over. · There are famines taking place in numerous regions of the world. · There have been fireballs coming through our atmosphere in vast numbers. On some occasions there have been more than 50 within a twenty four hour period. · The radiation produced by the sun in the last six months has nearly doubled in intensity. · There are spot wars all over the world and rumors of war. We are a hair’s breadth from a major global conflict. That doesn’t mean gaze into the heavens and wonder what’s coming next and then make a YouTube video about your speculations. That means look toward the HOLY ONE!!! Don’t look within yourself, don’t look to your church, carefully crafted theologies that tickle your ears, don’t look to your neighbors, your family or your friends. Don’t look toward your religious practices, LOOK TOWARD THE HOLY GOD. 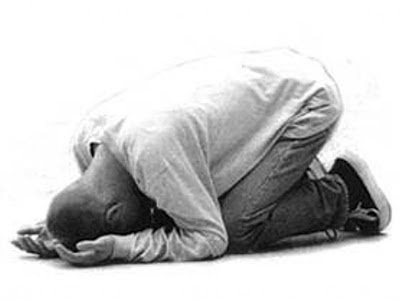 Fall on your knees and humble yourself before the coming King of Kings and Lord of Lords. Be CAREFUL! 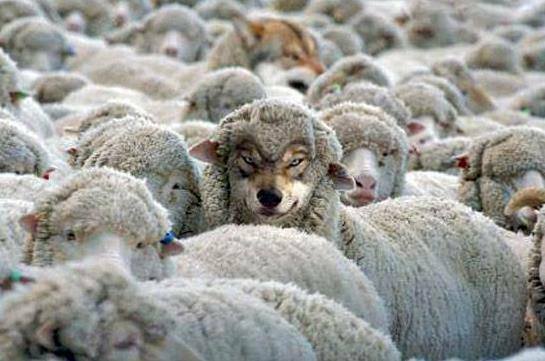 Do not be deceived by the numerous false teachers. Do not be fearful or in a panic. Turn your focus onto the Holy Lamb of God who lives, reigns and has dominion over heaven and earth. Look to HIM, Jesus, for your salvation.